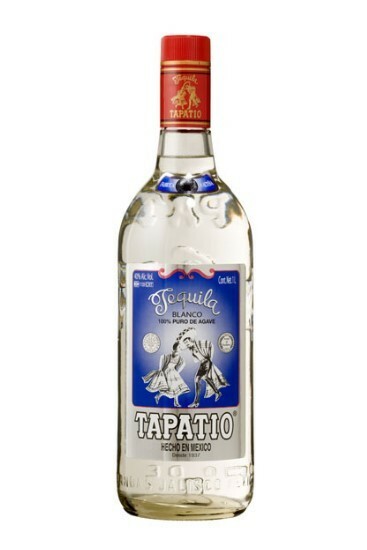 Tapatio Tequila Blanco is 100% Agave and produced at Tequila Tapatio (La Alteña) in the Highlands of Jalisco, Mexico. Produced and distributed throughout Mexico for over 75 years, Tequila Tapatio is now available in the United States. Those familiar with El Tesoro de Don Felipe will enjoy this less expensive version 1L bottle from master distiller Carlos Camarena. Finally, Im starting to taste the Tapatio line. Im so behind the times LOL. Im a HUGE El Tesoro fan that I didn't want to stray. That being said, ET has been discontinued in my area while they rebrand so now I can try Tapatio. Aroma: A surprisingly light nose of agave and dill. Initial Taste: A thin mouth feel. No bitterness. Initial taste of that world class La Alteña distillery! Body: Wonderful body of agave, dill, and citrus. In that order. Finish: An unheated finish, with a pleasant agave lingering. Most definitely the great taste I've come to love out of La Alteña, lacking a little heat. But that is a personal preference. Still a great blanco for sipping. And 1 liter bottle! I recently purchased all three of the Tapatio line, and am starting off with a review of the blanco. I really enjoy this tequila; it's very "clean" tasting. Lots of agave, pepper and some citrus initially. Oily enough for a pleasant mouth feel, the finish follows the initial taste with pepper and citrus being predominant. This to me is how a blanco tequila should taste; clean, simple and delicious. It's also priced very well, which doesn't hurt. Recommended. I finally found this at my local supply and was excited to try it out. The bottle "presentation" is not much to look at and I'm totally okay with that. I prefer a traditional bottle. The aroma is subtle but appealing. It is not harsh on the tongue but has a nice, young body on the palate and leaves a good agave footstep. I don't usually sip my blancos like this but have found a nice exception. I look forward to the aged variations. Brand new to the US market, Tapatio has a large following amongst tequila lovers. I'd never had any of the juice sold in Mexico, so I was very much looking forward to trying this one. Aroma: A great clean agave nose with loads of citrus and pepper. My favorite kind of blanco. Initial Taste: Crisp agave, citrus with a light floral taste. Very nice. Body: A medium body, great flavors throughout of agave, pepper and fruit. A really great mix of everything. Finish: A medium length finish. There's a great agave peppery finish that goes really well with the agave and citrus sweetness flavors. Wonderful finish. This tequila is definitely not all hype. 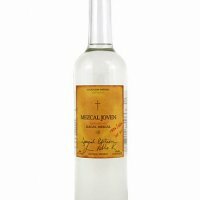 It's a great tequila with strong and traditional flavors. It's clean and spicy without being overwhelming in any aspect. I'm sure that it would be an outstanding mixer and for the price of $35 per liter, you could definitely do that. I think I'll prefer to sip this one. It's a great tequila anyone from aficionados to people looking to try a blanco for the first time. Get this one if you can find it.